Will Santa be bringing you presents or coal this year? Have you been naughty or nice? There is only one to find out! 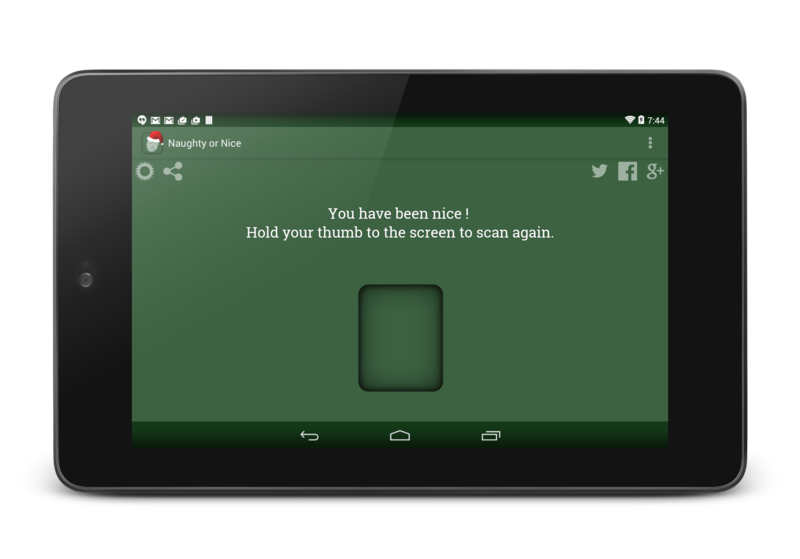 Naughty or Nice is a novelty prank thumb print scanner app that tries to determine if you have been naughty or nice based on a mock fingerprint scan. 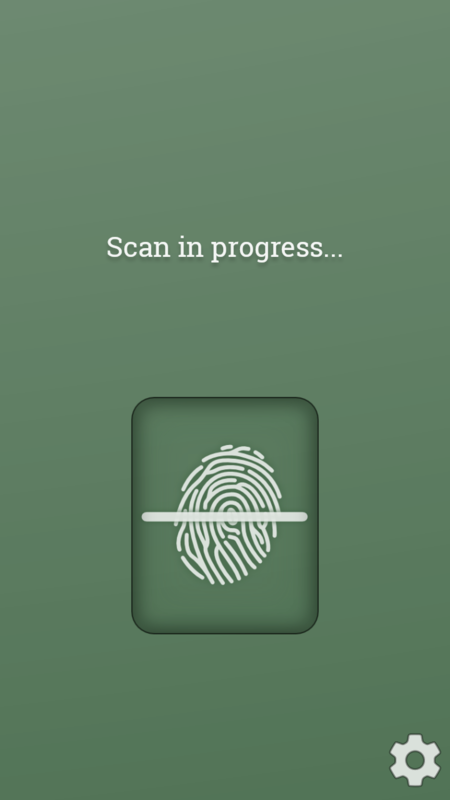 Simply place your thumb on the scanner and the app will tell you if you have been naughty or nice! Great app for Christmas parties or for the kids! Naughty or Nice is completely free, but it is supported by in-app advertising. Premium upgrade options are available on all major platforms, but if you purchase a license key directly from Ape Apps, you will recieve a license key file which unlocks the upgraded version of Naughty or Nice on all platforms! Click Here for more info.